I am not someone that ever wishes to promote violence however I do believe in reporting all sides of a conflict and that rules on censorship of websites pertaining to security must equally apply to all whether state, insurgent, media or other. Militant websites are frequently closed down whilst incendiary material on government websites remains untouched. It is very easy to leap on a newly launched Taliban website questioning its threat to state security whilst dismissing state actors and press that could equally be argued to be putting a country at risk. National and international security is a valid issue but then I must ask why people do not apply the same standards to state websites where institutions are linked to violence that may exceed legal boundaries. For example, should the CIA website be banned until there is a thorough investigation as to its role in relation to torture… Becoming aware that a state practices “enforced disappearances” ignores fair judicial process, tortures and carries out unlawful killings can turn some to respond through aggressive acts. Alongside state websites do we then also consider banning all media websites that cover stories which could in turn incite violence and threaten security… where does it stop? CIA Director John Brennan has also promoted a drone programme which has killed many civilians going about their daily business. There is plenty of evidence from both Pakistan and Yemen that drone strikes leading to “collateral damage” radicalize youth and promote retaliation attacks so is there a valid case for banning websites featuring John Brennan and the CIA and any site championing drone attacks? In yesterday’s Telegraph (April 5th 2014) a security source disturbingly claims that former prime minister Tony Blair and other politicians knew in detail about CIA torture and the rendition…. “everything”. The source stated that “they could have said [to M16] ‘stop it, do not get involved’, but at no time did they do this. Question…. To what extent were you radicalized by US and British foreign policy? Answer…. Not just Britain and America but the philosophy and attitude of “West” as a whole was off putting and the more I looked at their history and actions, the more I was convinced of their shaky foundations and the realism of Islam. Question…. What are your thoughts on drone strikes? Answer…. Just one of the instruments in the war against Islam. Every drone that kills five people produces 50 new soldiers of Islam. Kill a leader and you inspire hundreds more soldiers of Islam. The complete interview shows that this man and others were radicalized by a variety of information sources and media as well as personal contact which influenced choices. Even the A level subjects taught at school impacted on one man’s thinking introducing him to global politics in relation to “Africa, poverty, sanctions in Iraq, Muslim genocide in Bosnia and Palestine.” Taking this into consideration who and what do we censor? Should we ban all websites and news programmes that show wars built on false information such as Iraq, promoted by alleged war criminal, former British PM Tony Blair who along with George Bush instigated violence on a massive scale leading to a number of groups taking up arms against occupying forces? 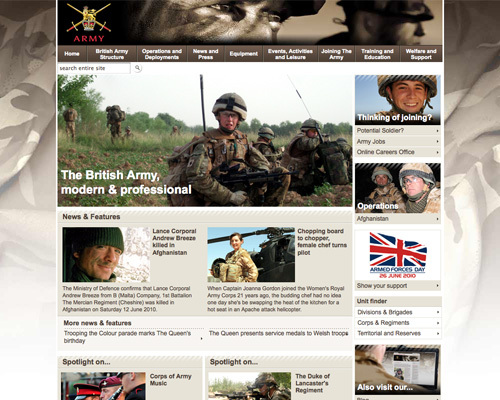 Do images of British forces on army website radicalize youth given recent killing of Lee Rigby? What about banning websites of the Armed Forces that encourage young people to join up and invade countries irrespective of whether there is a valid reason and legality? After all there have been recent reported incidents of suspected bombs left at armed forces recruiting offices. Can we allow any press coverage of controversial night raids in Afghanistan, that might lead to retaliation attacks and encourage more recruits to militant ranks? Individuals are exposed to many influencing factors in day to day life. There is a wide spectrum of websites that could be argued to put state security at risk, a person could just as easily be influenced by a violent game or drama on TV. 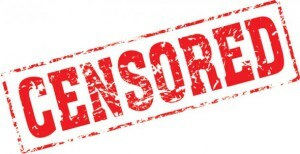 Therefore the same censorship rules must be applied to all websites whether state, insurgent, media or other and stop these ridiculous double standards!